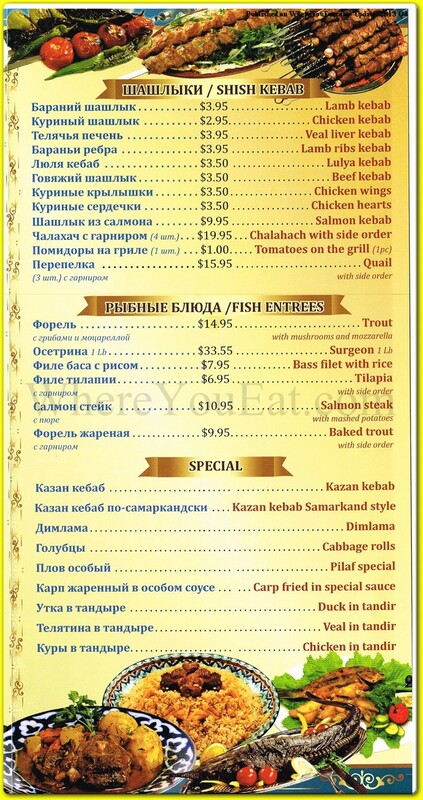 "Delicious lunch special $10 for salad, bread, 1 shish kebab & soup with soda. Loved how the beef was perfectly cooked, not burnt. Did not see a chunky tomato/onion sauce for kebab, just ketchup haha..."
"This is a nice discovery. 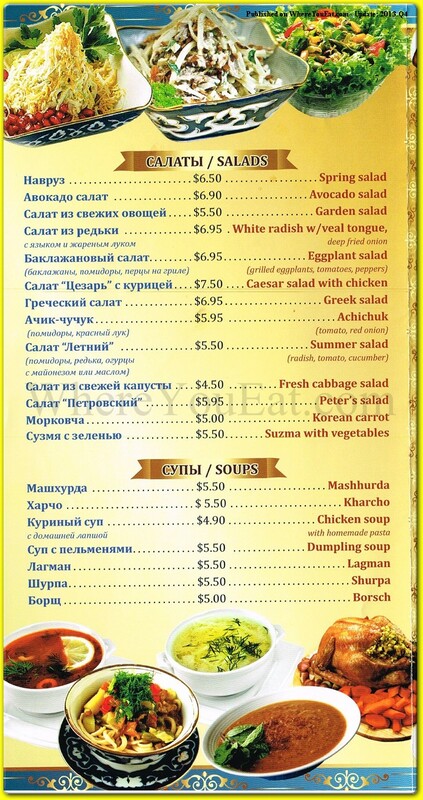 In a see if "russian" style restaurant - this is a small authentic place with non-pretentious service and very tasty food. I ha the lunch special, which was surprisingly freshly prepared and nicely presented. The main server (which is suspect is one of the owners ) provided a vey homey atmosphere. This is one if those places where you do not expect 5 servers around you. It is more like a short visit to Uzbekistan where a friend if a friend mom offered to feed you before you get back on the road. "My fiance and I happened to come across this place on our way to a different restaurant and decided to give it a try. 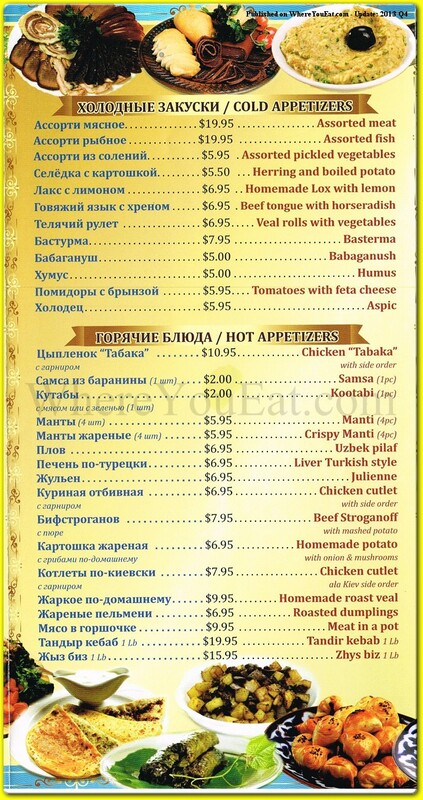 The decor is authentic Uzbek and the staff is very polite and attentive. The food is prepared fresh. 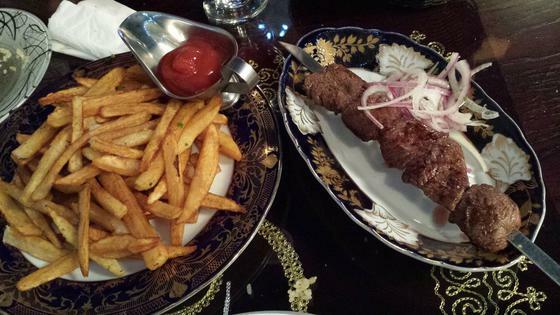 Try their lamb Samsa and the Lamb shishkebob, they are amazingly delicious and the kebabs are tender. We will definitely come back here."